Three charity heroes will be taking on the Leeds-Liverpool canal cycle ride to raise money for East Lancashire Hospice. Tom Eccles, 71, and son Scott Eccles, 47, and friend Mick Hoyle, 60, will be cycling the 127-mile stretch over 2 days on 16 and 17 June to raise money for the hospice, cycling around 9 hours per day. 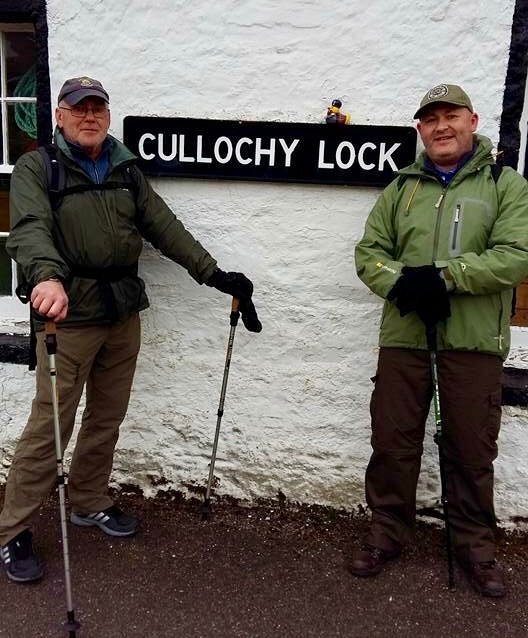 Tom fought his way back to fitness after a stroke over 10 years ago, while Scott, who was diagnosed with bowel cancer at the age of 37, is celebrating 10 years 'all clear'. Scott, originally from Blackburn, but now lives in Oswaldtwistle, said: “I had bowel cancer myself 10 years ago so it’s a cause very close to home. “Last year my wife’s best friend from school, Kellie Rea, 39, died from breast cancer and she was cared for at East Lancashire Hospice. In April, Scott was among a group of 30 people who completed the gruelling Yorkshire Three Peaks in under 12 hours, raising £1,100 for East Lancashire Hospice. Last year, Scott and his dad walked across Scotland to raise funds for charity, and in September he and 25 friends walked from Blackpool to Blackburn.